Andy Murray has often set social media on fire with his sharp with an deadpanned humor. 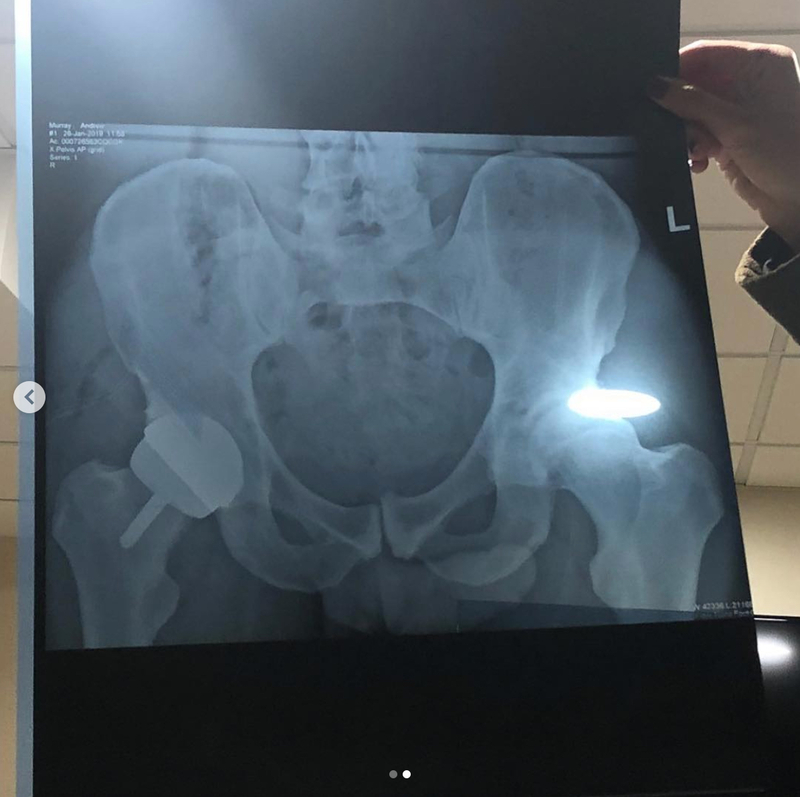 This time, his lighting up of Instagram and Twitter was done unintentionally, after a post-hip surgery x-ray showed not only his replaced hip but also his… well… a certain other body part in those regions. Alas, let’s get down to the REAL story…. 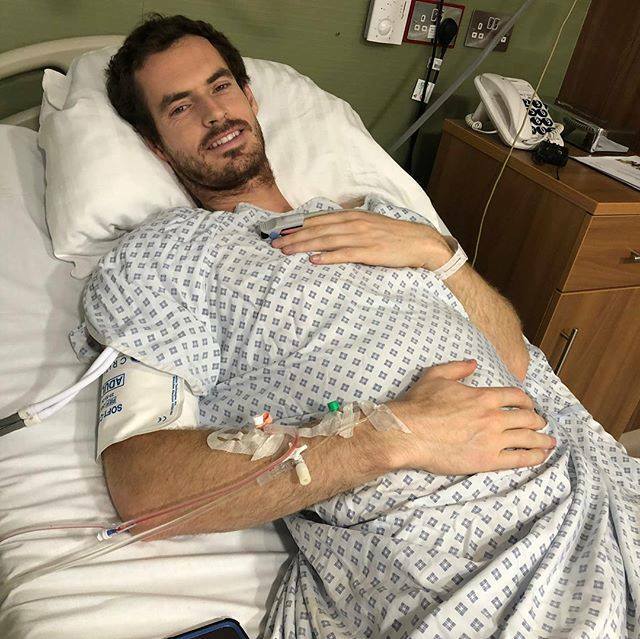 Murray’s original plan, which he laid out in a pre-Australian Open presser, was to survive on a damaged hip until Wimbledon and then retire from tennis this summer in front of the home crowd at his favorite event. Murray appeared to waffle on those plans following his five-set, first-round loss to Roberto Bautista Agut and they have, in fact, officially changed. The 31-yea-old Scot underwent another hip surgery earlier this week in London, likely putting him out through the summer and for the rest of the whole season–if not permanently. It remains to be seen if Murray opted for the procedure simply to improve his quality of life or with the intention of at some point returning to tennis. Bob Bryan had basically the same hip resurfacing procedure last spring and he is back on the ATP Tour this season (he and Mike Bryan reached the Australian Open quarterfinals). Both Bryan and Murray have noted, of course, that returning to singles as opposed to doubles is a whole different beast. “Seeing the way Andy Murray is feeling kind of hit a nerve with me,” B. Bryan said during the Aussie Open. “I would love to see him do a similar surgery, feel the relief that it gives. I think our hips are pretty similar: just worn down, no cartilage…. B. Bryan had advocated for Murray to use the same doctor in New York, but the latter ultimately went with one in London. The former world No. 1 struggled valiantly through a five-setter against Bautista Agut on opening day in Melbourne, staging a comeback from two sets down before falling 6-4, 6-4, 67(5), 6-7(4), 6-2.